Rebekah was not always the exuberant and confident young woman we know today. With the challenges of a developmental disability and attention deficit hyperactivity disorder (ADHD), along with knowing that the services that she received in high school wouldn’t follow her after graduation, Rebekah was unsure of her path. A school special education teacher and a counselor from the Wisconsin Division of Rehabilitation encouraged Rebekah to consider Project SEARCH after finishing high school. Project SEARCH is an innovative, business-driven, transition program for young adults with disabilities. The goal for individuals in Project SEARCH is to develop job and social skills through on-site internship experiences that lead to competitive employment in the community. With a strong support team behind her, Rebekah applied, interviewed and was selected to be a part of Project SEARCH at the Milwaukee County Zoo. While an intern at the Zoo, Rebekah developed her communication skills, work ethic and most importantly her self-confidence. Nearing the end of her internship, Rebekah utilized the Supported Employment program, sponsored by the Wisconsin Division of Vocational Rehabilitation and Goodwill. Supported Employment provides long-term job coaching support to individuals with disabilities. 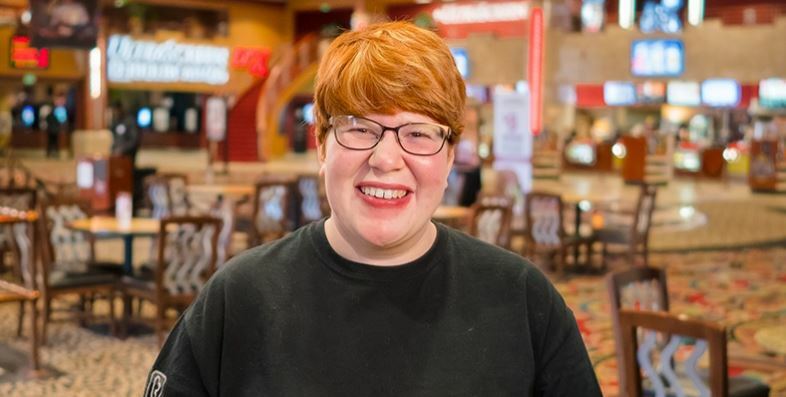 With a stronger sense of independence, Rebekah applied for a dishwasher position at Marcus Majestic Cinema of Brookfield. Rebekah's preparation through the programs at Goodwill and her sheer determination paid off and she was hired during her interview. Rebekah helps to keep the food service operation running smoothly by washing and sterilizing kitchen equipment; recently she has begun working on food service preparation. Coworkers enjoy her positive outlook, and management appreciates her strong work ethic and commitment to improving the customer experience. Rebekah hopes to advance in her job and continue working on her food and customer service skills. Through the power of work and partnerships, Rebekah has found her inner strength and her voice.